I love this spot because not only is there a ton of space for all the people who show up to the Charlotte C&C, but it’s also a Jagaur and exotics dealership. Here’s some pictures I nabbed from this weekend, but I do warn you—it quickly turns into an Aston Martin photoshoot. Also, I may have a slight problem with Ferrari taillights. So! I’ve shown you mine, now show me yours. 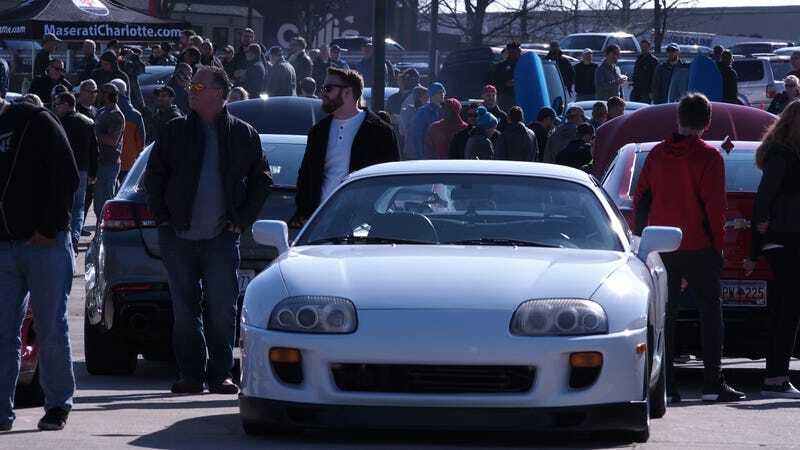 It doesn’t have to be Cars & Coffee—if you snapped some pictures from a meetup this weekend we’d love to see them.